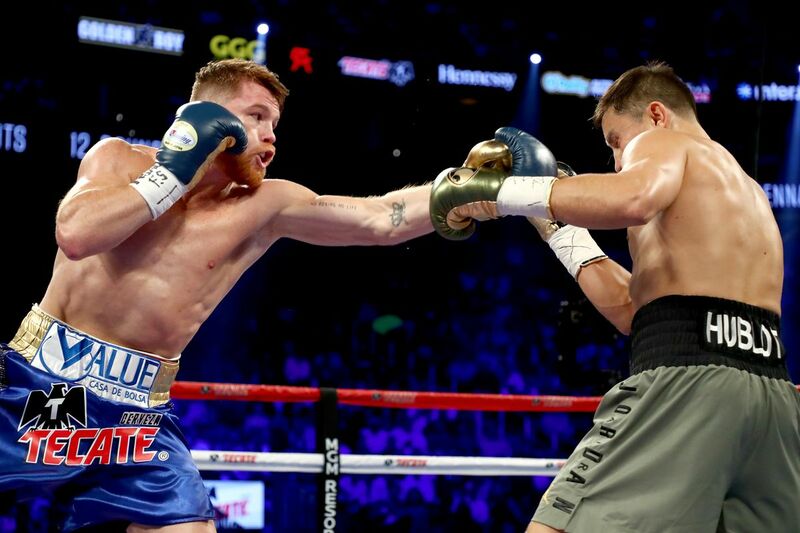 One of the less talked about issues during the first fight between Canelo Alvarez and Gennady Golovkin was a heated argument Golovkin’s trainer Abel Sanchez had just before the fight regarding Canelo’s hand wraps. In an interview with Yahoo Sports Sanchez says the Nevada State Athletic Commission showed favouritism towards Canelo even before the fight began by allowing him to ‘stack’ his hand wraps in a manner he believes to be illegal. “They put the gauze on his hand and he put one layer of gauze on the hand and then they put the tape on top of the gauze,” Sanchez said. “It’s called stacking and it’s illegal and you can’t do that. It’s creating a cast. We kept going back and forth to the point where he threatened to throw me out of the room. Obviously the fight was allowed to proceed, but in anticipation of this issue arising once again for the May 5 rematch, representatives from both teams met with NSAC officials to discuss the topic. Ultimately, Anthony Marnell, the chairman of the commission, and executive director Bob Bennett ruled that the method of wrapping Canelo’s hands are in fact permissible under their rules (NAC 467.432). Golovkin’s promoter Tom Loeffler said that those specific rules regarding hand wraps are subject to interpretation, but given the commission’s stance, they’ll let go of the issue. “We read that and interpreted it one way and they interpreted it another,” Loeffler said. The commission did, however, reassure that they’ll continue on with their investigation into Canelo’s failed drug test for banned substance Clenbuterol, with Golden Boy saying they’ll offer their full cooperation.